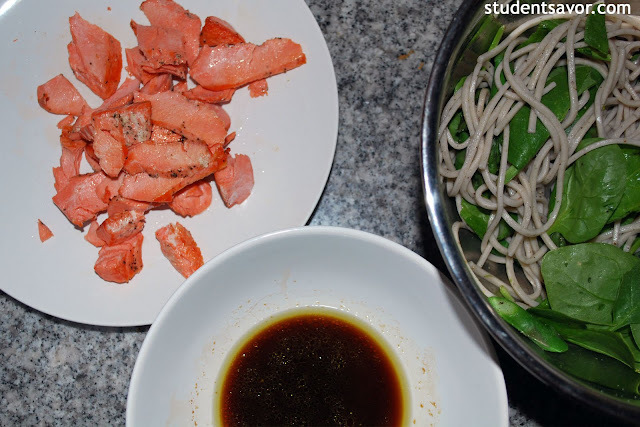 Remember the time when I ate salmon for dinner? I don't. I don't think I have ever enjoyed salmon as much as I do now. Actually, I don't think I had ever been able to enjoy salmon. Ever since I was little I found salmon--much like all other types of fish--disgusting. I guess I never really had a reason to think so other than the fact that it seemed gross. I never liked the smell of fish and I automatically thought it would taste exactly the same. Common misconception. Yes, fish smells very fishy, but if you cook it correctly it tastes delicious. A hint of sea will always remain, but your taste buds should not be mislead by the smell. It took me a while to figure this out--and I am still working on enjoying fish as a regular dish--but now I am proud to say that I am a fish fan. 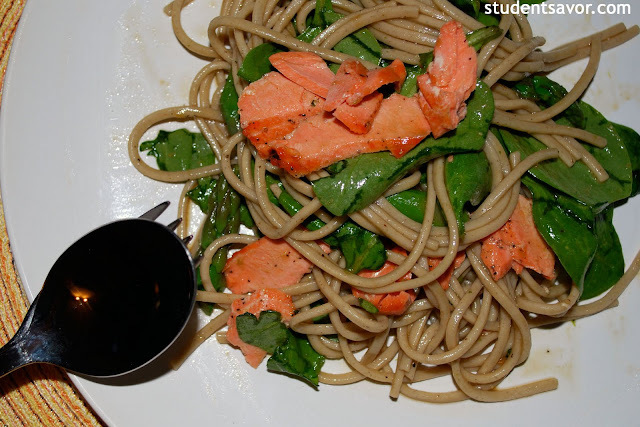 So anyways, the other day, I ran into a soba noodle recipe with salmon and asparagus. 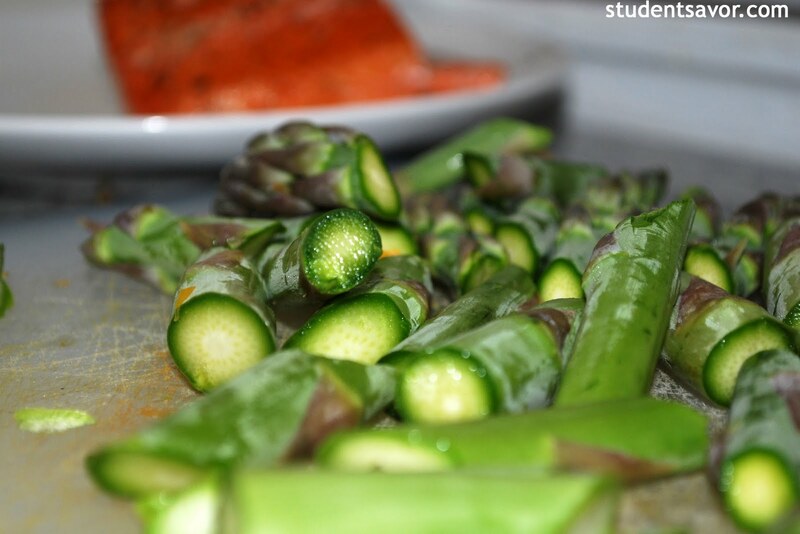 I should mention that, as you have probably already noticed, I have been obsessed with asparagus lately. 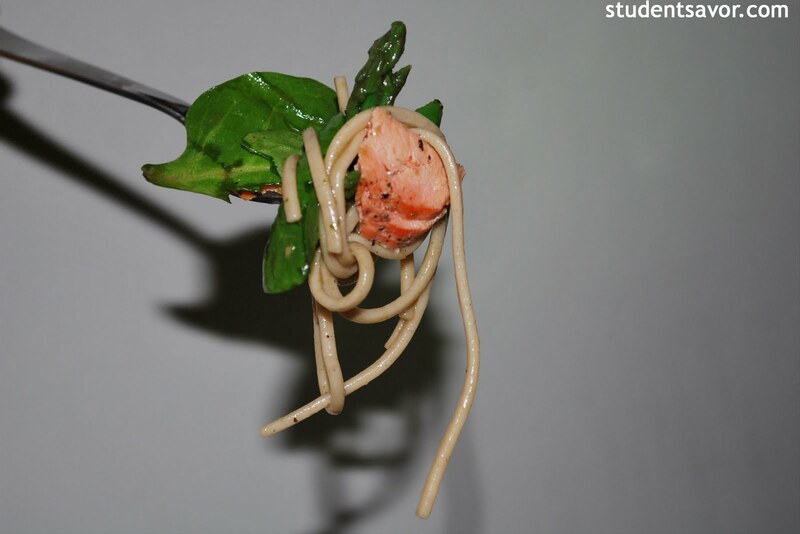 The dish is very easy to make and it doesn't take too long. Its the perfect dinner for a hot and humid summer night. Enjoy! Whisk olive oil, soy sauce, rice vinegar, honey and ginger past together in a small bowl. Season dressing with S & P and set aside. Cook soba noodles according to box, until they are tender but still firm to bite. Drain and rinse with cold water to cool. Transfer noodles to bowl and pour dressing. Stir to coat. Heat vegetable oil in a large skillet over medium-high heat. Season salmon with S & P. Cook salmon until browned but still pink in center, about 3 minutes on each side. 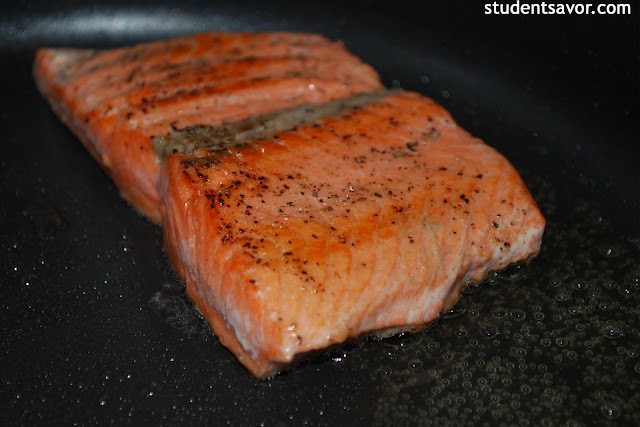 Remove salmon from heat and set aside. Wipe skillet and add enough about 1 inch of water. Bring water to a boil. Add asparagus and simmer until crisp tender, about 3 minutes. Drain. Add asparagus and spinach to noodles and toss to incorporate. Carefully break salmon into bite size pieces, letting it split almost naturally. Season salad to taste. 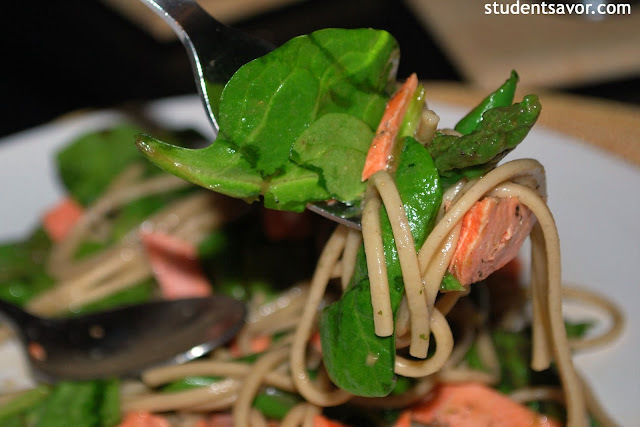 Add salmon to salad and toss a little, just to incorporate. Serve.